"what is MOST important for me to see?" The reality is that it's just not possible to see every square metre of this awesome planet and more importantly, everything comes at a cost. Whether it is time or money, every traveler has a restriction on what they can do. 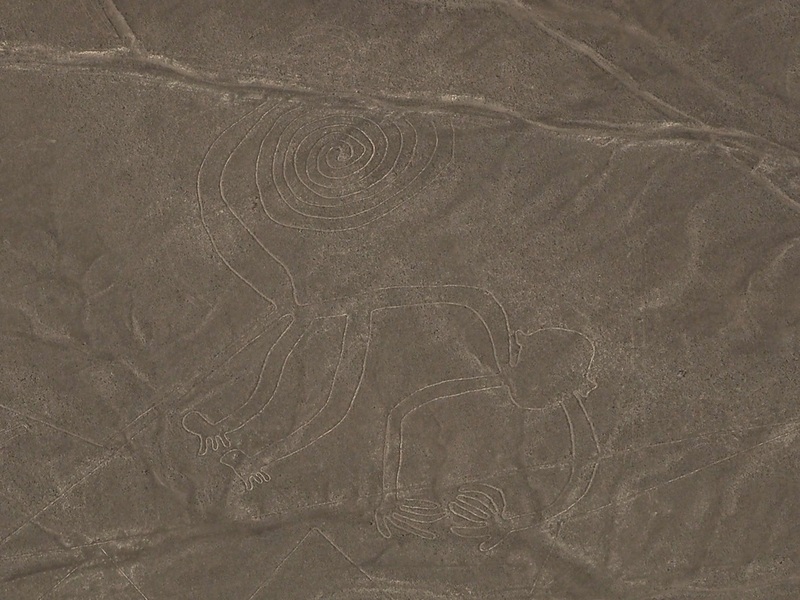 The NAZCA lines are one of those attractions that cause many travelers to ask themselves whether it's "worth it". So, in a bid to shed some light on what all the hype is about, here is our guide to visiting the Nazca Lines. The Nazca Lines are a UNESCO World Heritage Listed plateau in Peru, where a series of ancient geoglyphs were created presumably by the Nazca culture between 500 BC and 500 AD. In simple terms, the Nazca Lines are a series of images and geographic shapes etched into the dry desert-like plateau by creating a shallow line on the surface of the ground. There are hundreds of images strewn across a 500 square kilometre plateau. Some of the more intricate images depict a hummingbird, monkey and human-like figures while there are also more simple trees, flowers and geometric shapes scattered around. The largest figures are over 200m long and with the lines being simple 10cm deep scratches on the surface, and yet drawn with such great accuracy, it is one of the great mysteries of the World as to exactly how these magnificent drawings were created over 2000 years ago! 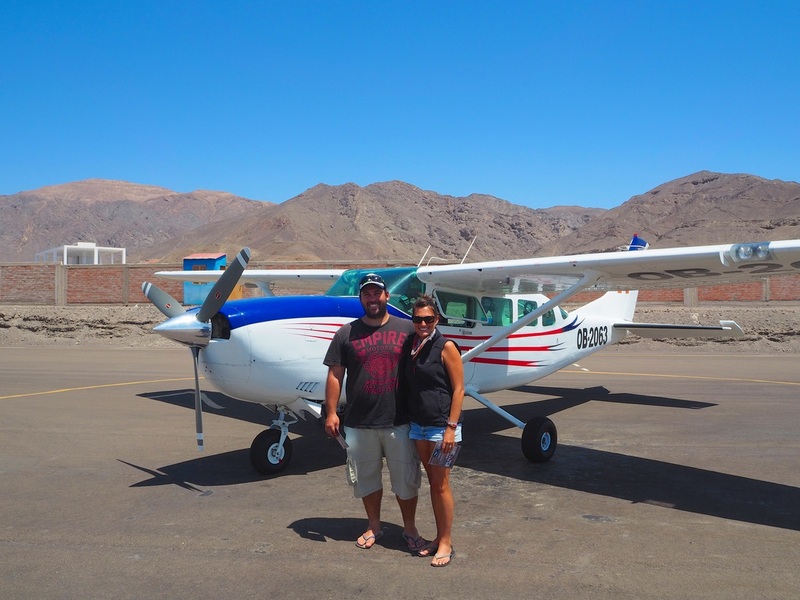 The town of Nazca is little more than a dusty base for visiting the Nazca Lines. Nazca sits a short distance off the Pan Americana Highway making it easily accessible if you are traveling between Lima and Arequipa. While there is a decent museum in town, there really is little else to do in the actual town, so a bit of planning goes a long way. 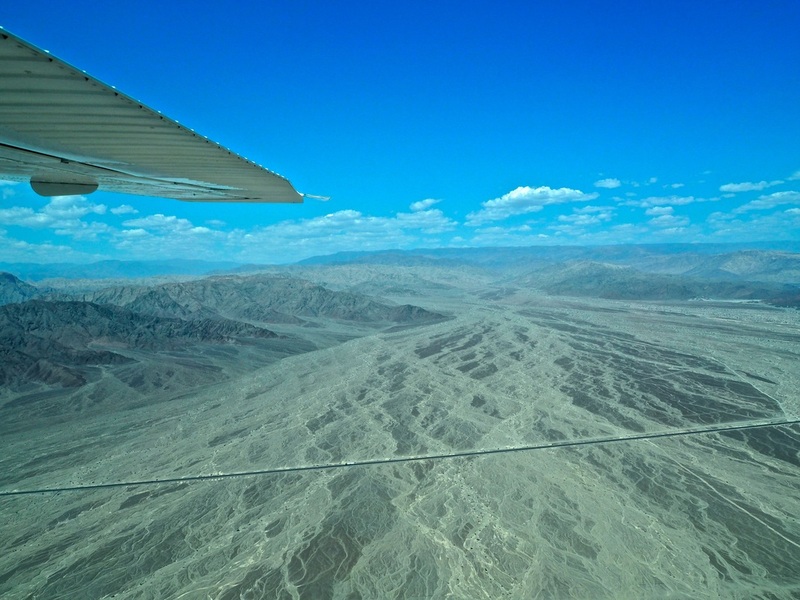 If you choose to see the lines by car, then perhaps a one night stay in Nazca would be alright, however if you choose the flight (30-45 minutes), you want to make sure you have your next leg of travel planned out in advance. On the upside, many of the buses departing Nazca for Lima, Arequipa or Cusco are overnight so it is very possible to arrive, do a flight and depart on the same day. Perfect! 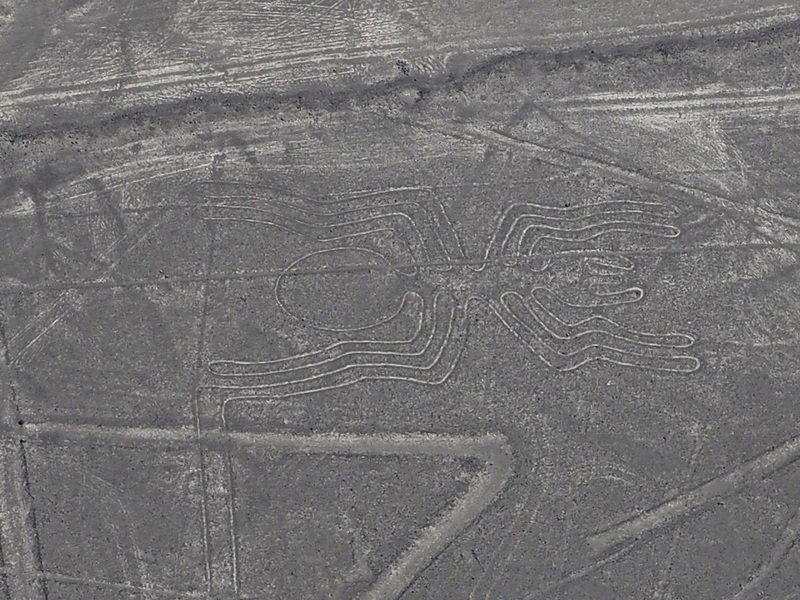 Whether or not to visit the Nazca Lines is often a big dilemma for many travelers to Peru. Without a doubt, the best way to see the lines in all their glory is by flying over them. However this is often too expensive for many long-term travelers and over the years there have been some concerns over the safety and maintenance of the planes themselves. The second option is to visit the lines by car or bus. 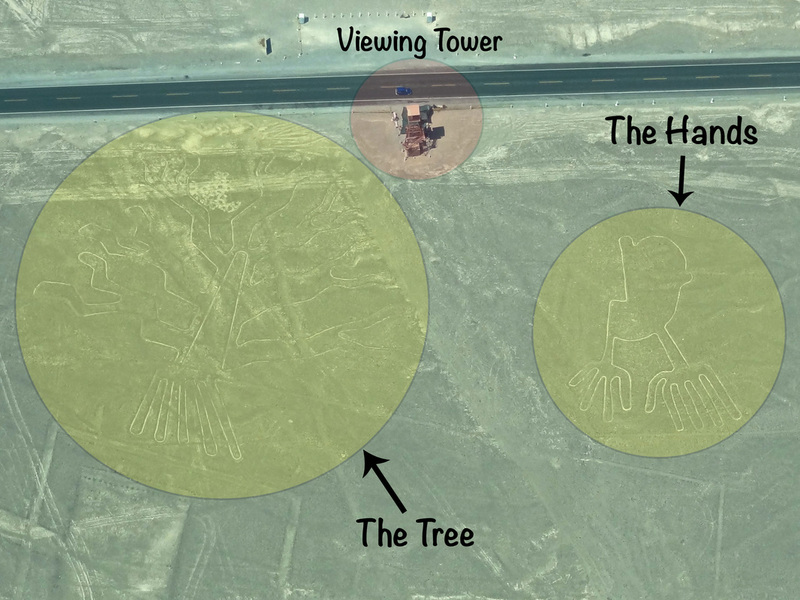 The idea with the ground transport is that you visit several viewing platforms from where you can see one or two of the large images etched into the plain before you. With over 200 geoglyphs etched over some 500 square kilometers, the viewing platforms barely give you an insight into just how amazing this sight is. For this reason, we chose to squeeze a flight into our budget one way or another. We arrived in Nazca on a morning bus from Huacachina. Upon arriving at the bus station in town we immediately booked our onwards journey to Arequipa, a 10 hour overnight journey, departing that evening. This gave us around 6 hours to get out to the airport, organize a flight then return to town, visit the museum - if time permitted – and have dinner before our bus departed at 8pm. As we had booked onto a VIP bus we were able to leave our luggage in their storage room throughout the day, which was a huge help. You can either book your flight in town where you will be provided with a taxi to the airport however you are guaranteed to pay more in town than you will at the airport. The alternative option is to take a taxi to the airport, which costs around 25 Soles after some haggling. Upon arriving at the airport you have roughly 8 companies to choose from and a little more bargaining power and choice than you do in town. Price: The price generally ranges between $80 – 200 USD. The price depends on the duration of flight, route and number of people in the plane. Model and condition of plane: The planes themselves range in age and condition. Check a photo of your plane or better yet, see it, before booking! These smaller planes are often known for causing vertigo and motion sickness as some tight turns are required to properly see the lines from the air. For your sake and the sake of others, PLEASE take this into consideration when choosing your plane. The larger planes are considered slightly better in this regard. Safety history: All operators should be happy to answer any questions about the company or the planes’ safety history. Many will also advertise their pilots qualifications. The better companies will tell you exactly how often their safety checks are carried out and will be happy to answer any questions you have regarding their safety procedures and history. Routes offered: Finally the routes vary slightly and mainly involve three main options. Option one is the “Classic Nazca Flight”. It’s the shortest and cheapest with a 35 minute flight over 12 of the images. The second option is the same as the first but gives you an extra 10 minutes flying as it also flies over the aqueducts giving you a great view of the size and perfection of these ancient wells. 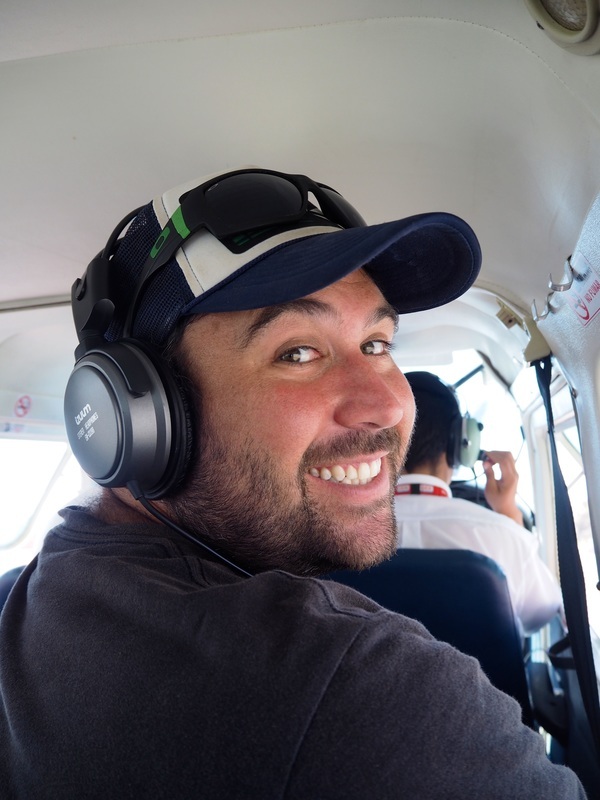 The final and most expensive option gives you an extra 10 minutes flying as you continue out of town and on to the less seen and more recently discovered geoglyphs of the nearby Palta region. The flight goes for a minimum of 35 minutes depending on your chosen route. If you've never been in a light plane before it can be a little daunting. It's a tight space and very loud. For this reason all aircraft should provide you with earmuffs to not only limit the engine noise but also so you can hear the pilot as he points out each feature as you fly over them. In my opinion, the take off is exhilarating! It's a quick shot straight up into the air from where on a clear day, you can see all the way across the dusty plains out to the horizon. All companies should give you a map of your route and the order in which you will be seeing each of the images. At first it's a little difficult to make out the lines as you don't know what to look for, however once you've spotted one, it becomes much easier and you'll often be able to make out the clearest ones without any difficulty at all. In order for everyone to see the lines, the plane will fly over every image twice. It will turn to the left and the right, tilting one way first then flying back over and doing the opposite. This is great for photos and gives you plenty of time to make out the shapes however this is also when the vertigo or airsickness can kick in so take tablets well before if you suffer from either of these. Upon arriving at the airport, we spoke to three different companies. The biggest issue for us was the language barrier. While we speak some basic Spanish, we had a few questions that we couldn't ask in Spanish so straight away we were given more information by the companies who spoke better English. The second issue is filling the flights. You will get a much better deal on a flight if the plane is full. While it's not always fair, we were given a cheaper price than the first people who booked onto our flight as we were taking the last two seats. This worked out well for us as it meant we did the longer flight (40-45 minutes) including flying over the aqueducts but for only a little more than the standard 35 minute flight. 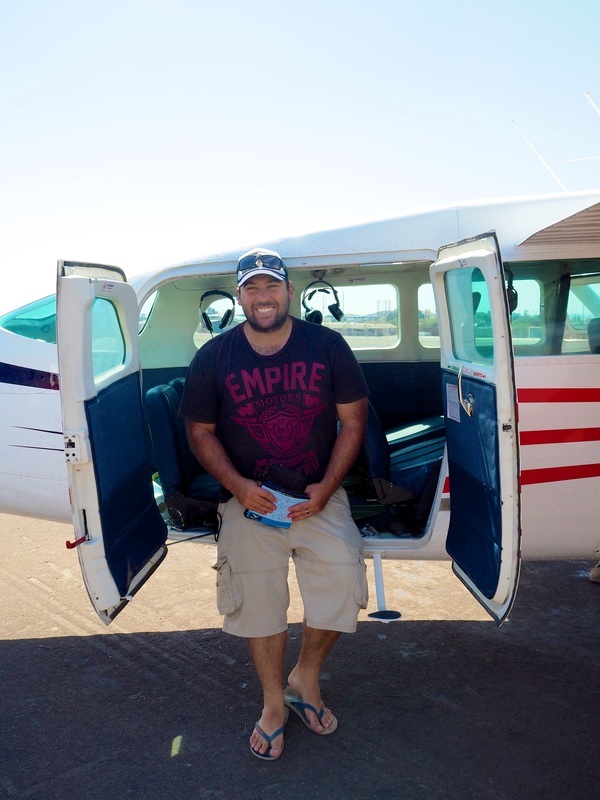 We paid approximately USD$80 per person for our 45 minute flight which seemed to be a good price for the time of year. 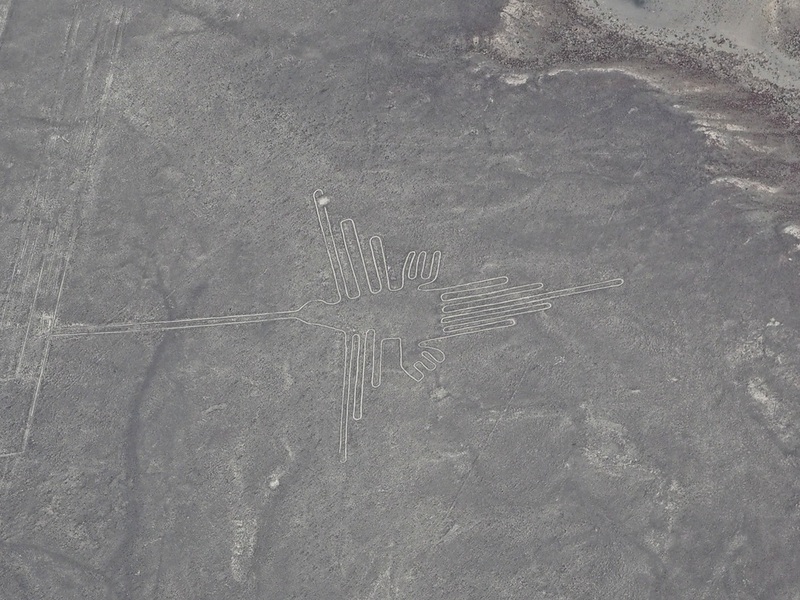 I would highly recommend flying over the Nazca Lines to anyone passing through the area. We felt it was well worth the money and were very happy with the safety standards and procedures on our plane. Being such a large, exposed site, these lines are subjected to a full range of erosion, deterioration and weather impacts. For that reason we felt that it was an important place to see now, as they will not last forever. We were very happy with our decision to arrive, fly and leave in one day. We had plenty of time to organize our flight, visit the museum in town, wander around Nazca and have a relaxing meal before our night bus departed. Accommodation in Nazca is quite inflated so we felt that by getting the overnight bus we had saved ourselves the extra cost, making the flight more affordable. 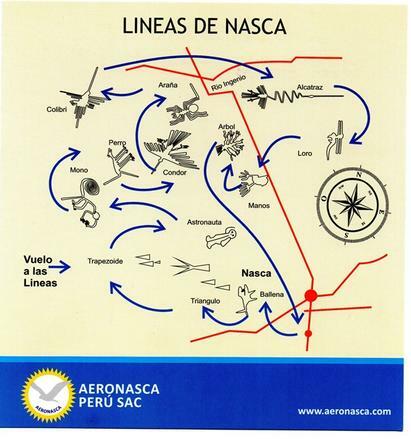 Overall I would confidently recommend this flight and company for your visit to the NAZCA Lines. It’s not everyday you get to fly over a UNESCO World Heritage Listed Site! Click here to see our complete Photo Album from the Nazca Lines in Peru!